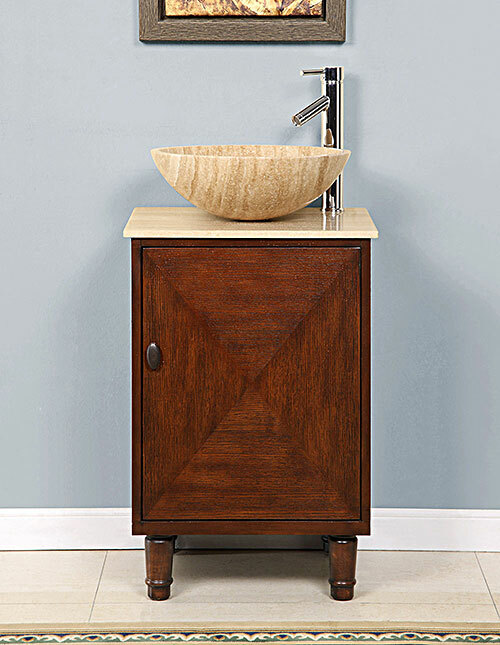 Made with the intention of creating a unique, yet stylish look for a modern bathroom, the 20" Lorne Vessel Sink Vanity does wonders to any bathroom. 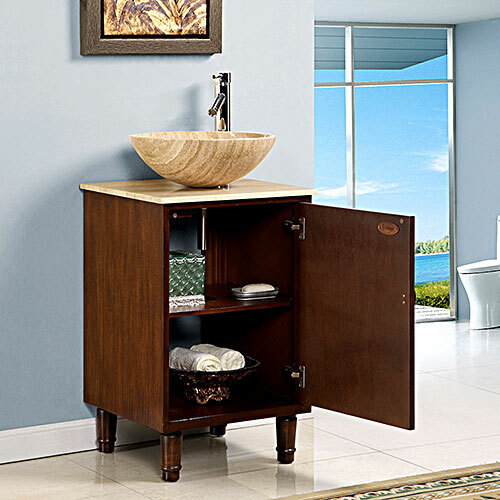 Its beautiful English Chestnut finished cabinet features a soft-closing cabinet door that reveals plenty of storage space for a small vanity, and is accented with an oil-rubbed oval door knob. 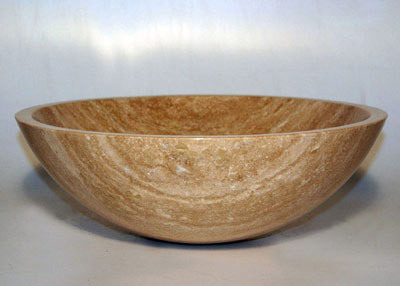 The top is made from Roman vein-cut Travertine marble and can be topped with a matching Travertine vessel sink (sold separately) or matched with any other kind of vessel sink to give it a look that you will absolutely love. The top is also pre-drilled with a single faucet hole to make faucet installation easy, while a large cutout in the back makes plumbing installation just as easy! Faucets sold separately.